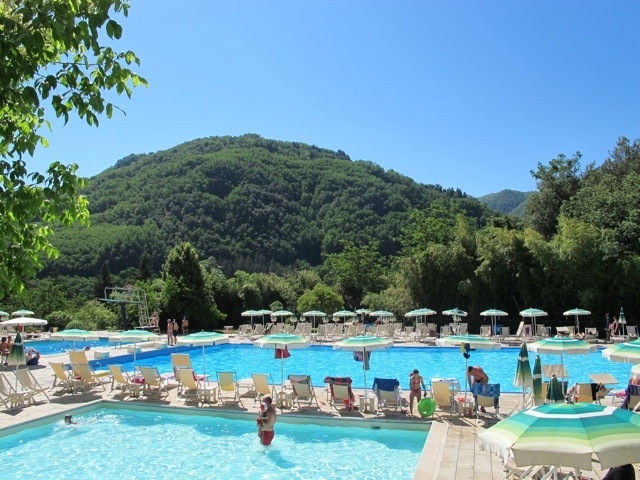 I am often asked for ideas on what to see in Bagni di Lucca. 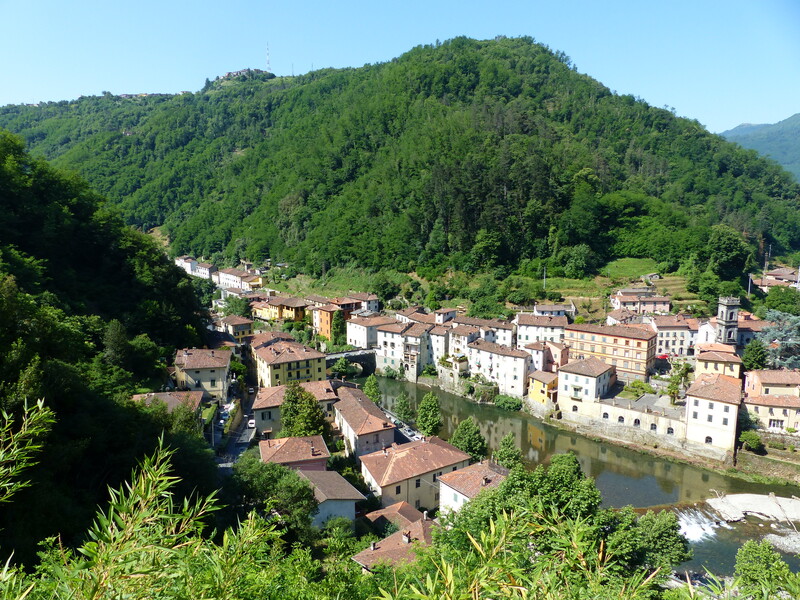 This can be a little complicated because Bagni di Lucca is not one town, but a collection of villages scattered on either side of the Lima River in quite a large area. There are around 25 villages. It also depends on how long is the intended stay and whether a car will be available. For a one day trip from Lucca without a car I usually recommend taking the CTT from Piazza Verdi to Ponte a Serraglio, one of the villages along the Lima. 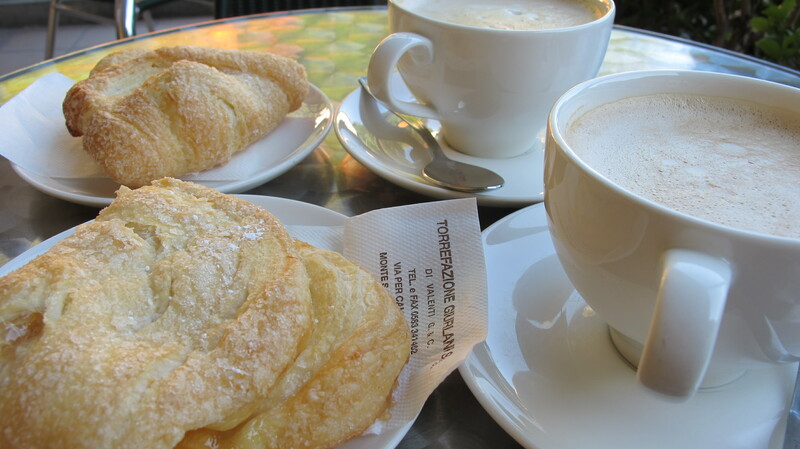 Stop for a coffee at Il Monaco or Bar Italia in the little piazza. Walk up the hill to Bagni Caldi to visit the Jean Veraud Terme, where people have been “taking the waters” for centuries. The road is a little steep, but you can stop along the way to admire the view. 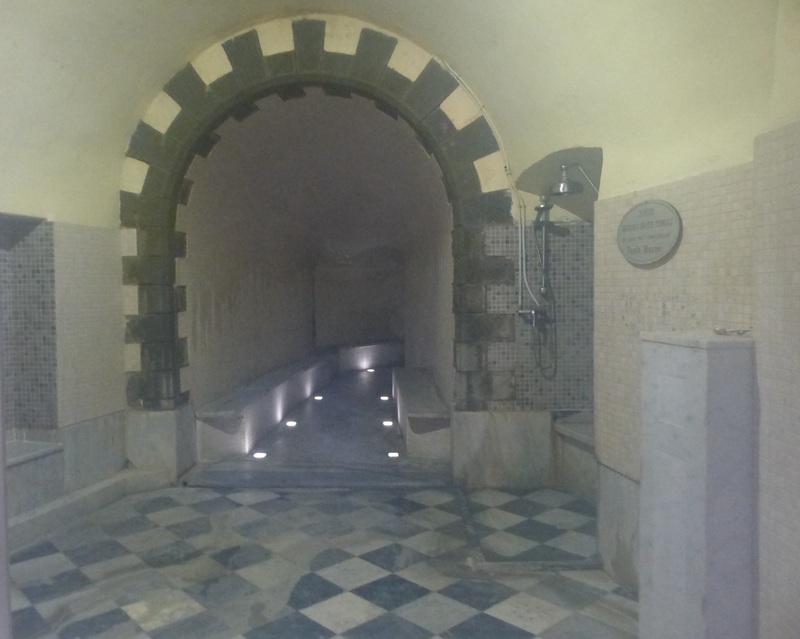 If you book ahead you could enjoy one of the treatments, a deep marble bath or the steam grotto, one of which was the personal steam grotto of the sister of Napoleon. Keep walking up the hill towards Colle and take the path down the other side to La Villa, the commercial centre of Bagni di Lucca and the home of the Comune. In summer the beautiful pool is open, offering a swim with a wonderful view. Have lunch at one of the many restaurants and perhaps take a walk along the river where Elizabeth and Robert Barrett Browning liked to walk when they visited Bagni di Lucca. From there it is possible to catch a bus back to Lucca. You could also walk along the river for about 2 kilometres to Fornoli, have an aperitivo at Cafe Catena, say hello to Paolo, and take the train back to Lucca. For those staying longer it is important to know which village your accommodation is in. 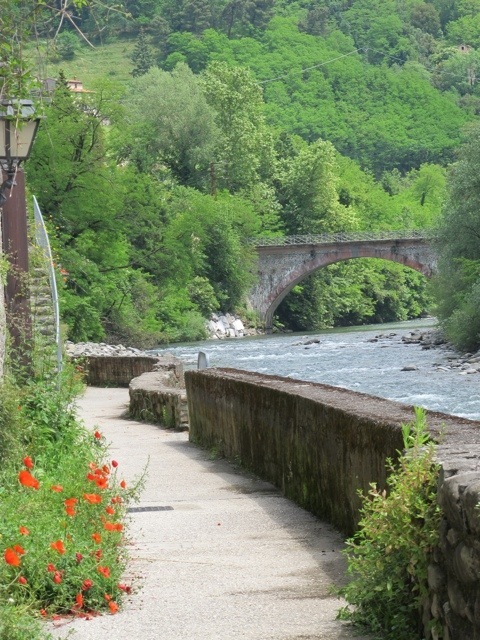 The 3 villages along the river, Fornoli, Ponte a Serraglio and La Villa, are easily reached by public transport. The others are not as easy to access. There are only a couple of buses a day from La Villa. You will need a car, or hire a taxi (which will need to be done in advance) or arrange transport with your landlord. Without a car it can be difficult to access the outer villages. It is possible if you carefully coordinate the buses. Ask for help with a local or try the information office in La Villa. If you have a car there are some truly stunning villages to visit. Each one is different and beautiful in its own way. 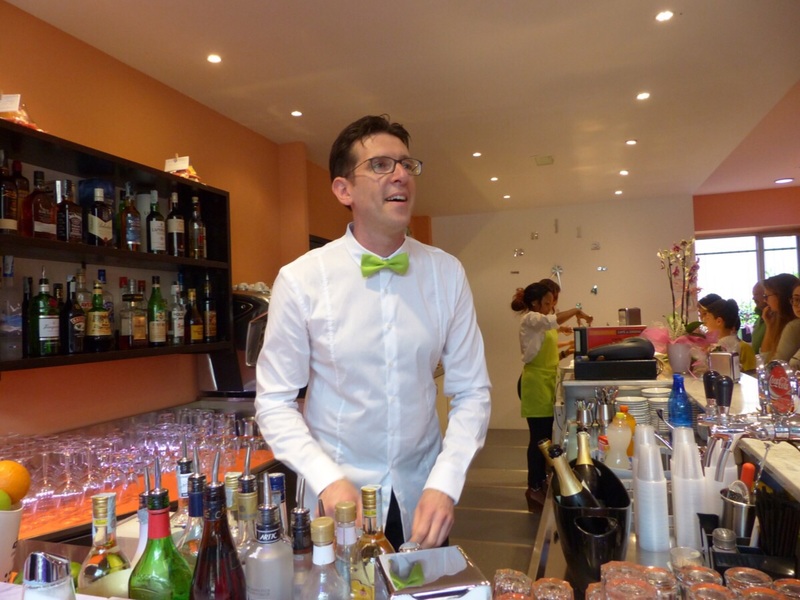 Some have a restaurant or a bar, but many do not. I have visited all of the villages and if you go to the top of the page and click “Villages” a list will appear with a link to each one. 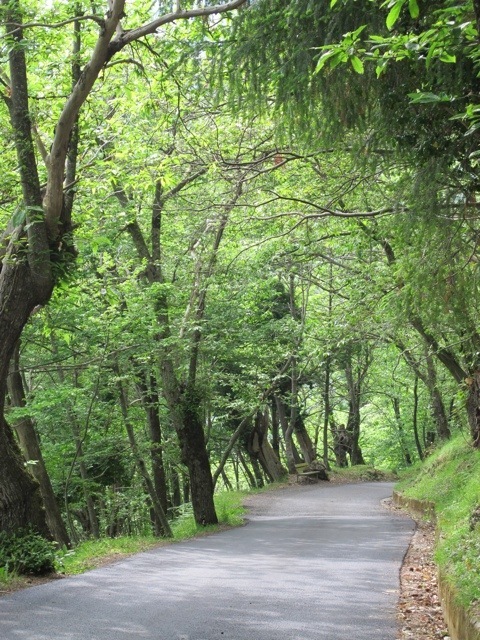 Be aware that the mountain roads are narrow and winding. There isn’t a lot of traffic and once you get used to driving on the roads you will be rewarded with spectacular scenery. The villages are centuries old, some of them were settled by retiring Roman soldiers. Some have changed little and offer an authentic view of Italian life from times past. 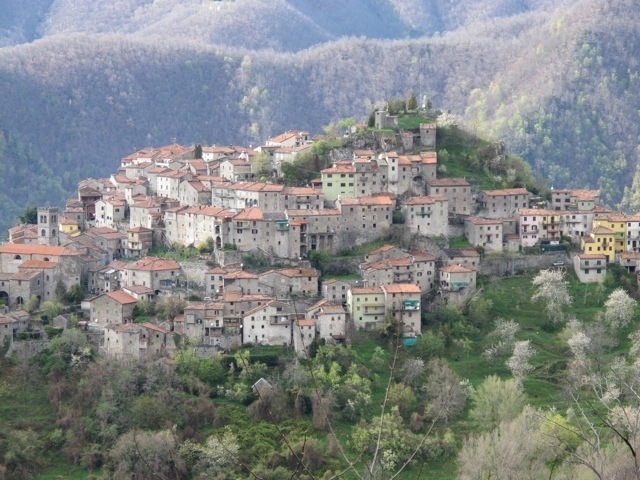 Montefegatesi is the highest of the villages at 842 metres above sea level. Park on the edge of town and take the walk to the top to the statue of Dante for some of the best views over the mountains. Stop for a snack at the bar in the central piazza. 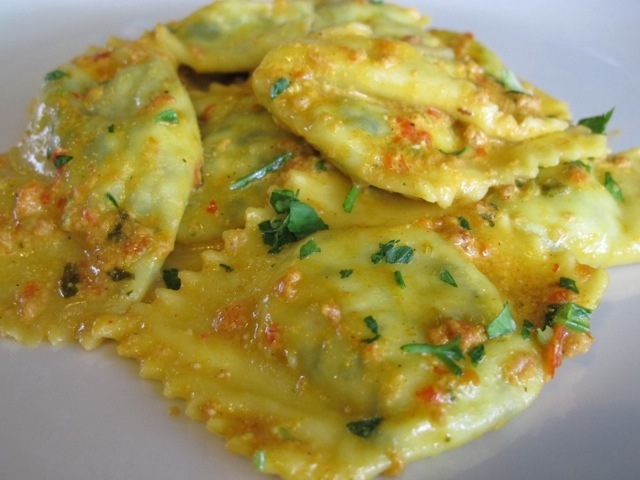 Vico Pancellorum has an excellent restaurant, Buca di Baldabo, which serves delicious home made pasta and local produce. If you are up for it there is a steep walk to the top through cobblestone streets, rewarded with pretty views. Look for the ancient church at the bottom of the village. There is a lovely walk from Pieve di Monte di Villa down to Ponte a Serraglio. Take the bus up, explore the village, have lunch at the Refugio Fiori and take a leisurely walk down through the beautiful forest. It is especially delightful in spring and autumn. Luccio is the last village in Bagni di Lucca. In fact you leave the Lucca province briefly and enter Pistoia, before turning back to the road to Lucchio. The village clings like a limpet to the side of the mountain. It is said that hens in Lucchio lay square eggs to prevent them rolling down the slope. 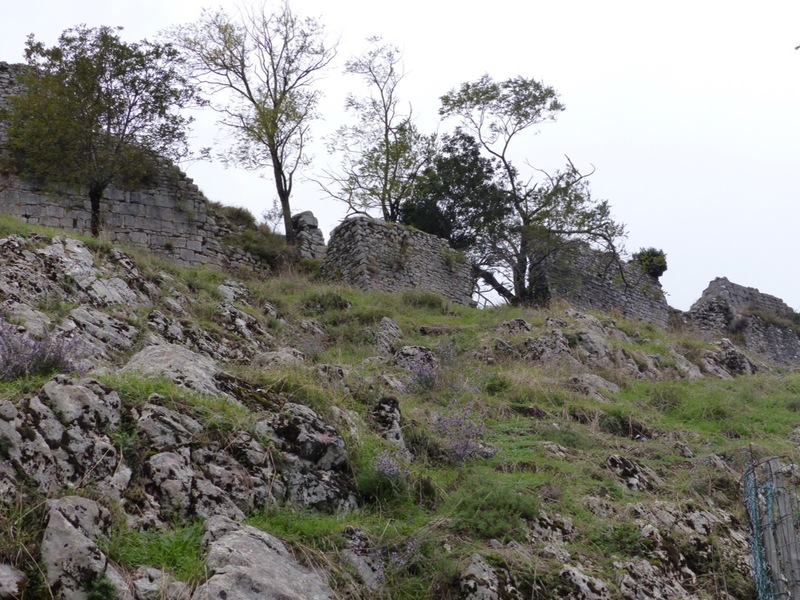 Climb to the top to see the ruins of an ancient fort. Take a walk through the English cemetery in La Villa (take the walking bridge near the theatre) and look for some famous names. Some dedicated locals have been slowly restoring the graves to their original state. If you are lucky you will be in town for one of the many festivals in the area. Check this blog, ask at the information centre or look for posters in the local bars to see what is on. If you click “Eat” at the top of the page you will find a list of the restaurants in the area and a link to a post about each one. Go back through the archives. 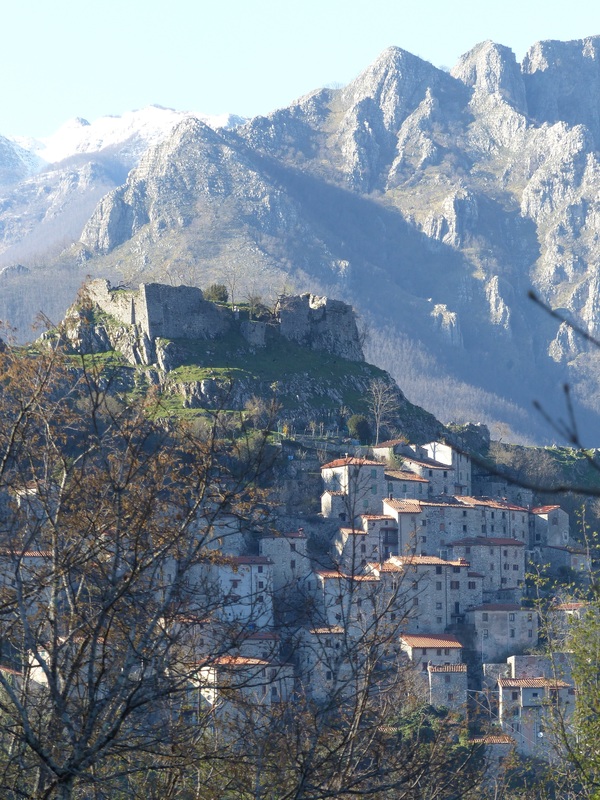 I have been collecting stories about Bagni di Lucca for 5 years and there is quite a bit of information about the villages and what to see in the area. If you have any specific questions I will try to answer them or direct you to someone who can help. 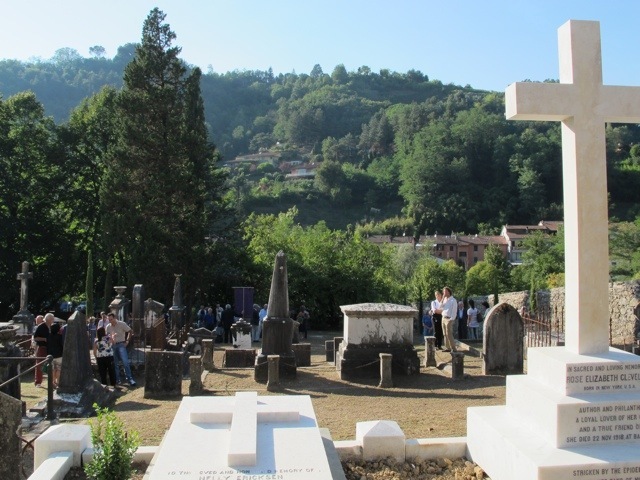 This entry was posted in Getting around, The villages of Bagni di Lucca, Things to see and do and tagged Bagni di Lucca, Italy, mountain villages, travel, Tuscany by Debra Kolkka. Bookmark the permalink. Some of them are privately owned and there are even a few for sale. Thank you for the link. There are some gorgeous houses up there. Excellent post and very useful! Well done Deb! Thank you. I will be forwarding this to people who ask for advice, it will save me repeating myself. Certainly looks a great region! The whole area is gorgeous, not really what people think of when the think of Tuscany. I love the mountains as much as the rolling hills. It is stunning. I look forward to being back there soon. Thank you for a great post, Debra. It will come in handy to share with friends who are interested in visiting the area. Obviously there is much more to see, but it is a start for new visitors. The trains are great for trips to Castelnuovo and others towns along that route. There is lots to do in the area. I have spent 6 months a year in Bagni di Lucca for 13 years and I still haven’t see all the villages in the Garfagnana…but I am working on it. I feel very lucky to spend time in the mountains. 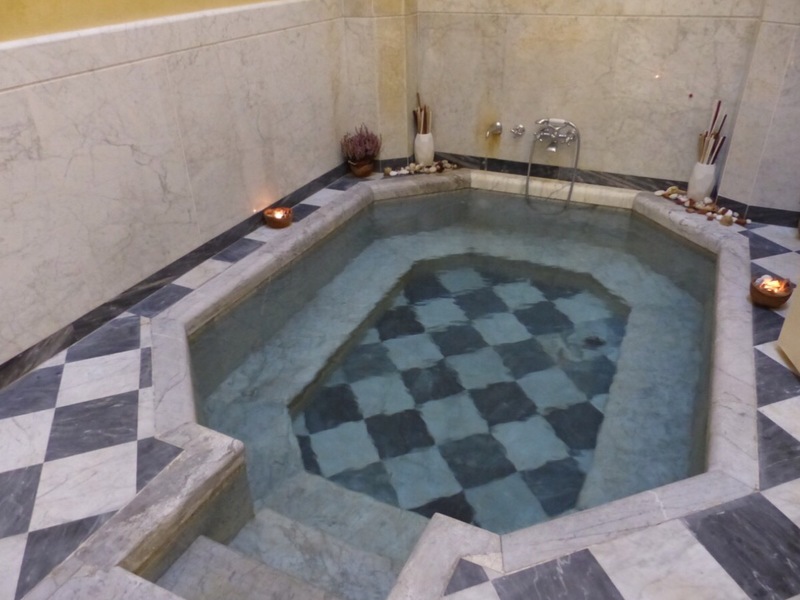 Great post Debra- never been to the marble baths we might have to put that on the bucket list. The walk from Pieve di Monte di Villa to Ponte sounds great also. We did the walk from Colle to La Villa, past the chiesetta Alpina- no time so we did it at night. The river walk is nice also. So many nice places, tracks, history etc and very little money to maintain them! Bernabo Spa has only recently reopened. There is also a deep marble bath at Villagio Globale. It would be good to see some of the paths maintained a bit better. Perhaps if more people use them it will be seen to be worthwhile. What a wonderful post, Debra; a lovely trip through a lovely land. What a great, useful post Debra! Beautiful pictures. Thank you. 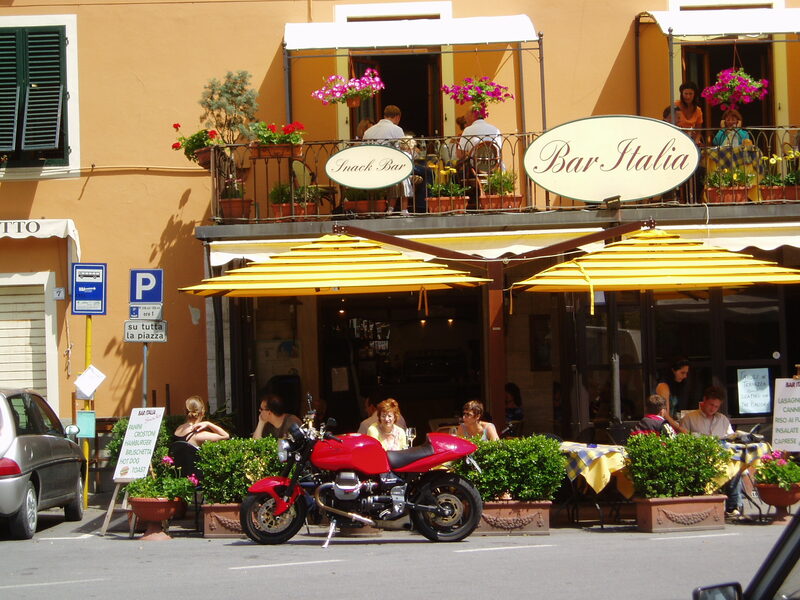 I am often asked for tips on what to do in Bagni di Lucca and I send individual emails. Now I will forward this. Do you know does the music festival that illario used to organise still take place in the summer? I don’t think it happened in 2016. I will be back in BdL in a couple of days to find out what is happening this year. Thank you. It was a lovely little festival, would be a shame if it isn’t going any longer.